Ramona McKean, author of Dancing in the Heart of the Dragon: A Memoir of China, did exactly that when she heeded the message of an inner voice that suggested her life’s calling might be found thousands of miles from her Canadian home. It’s a must-read for women over 40 who want to be inspired, to find their purpose and, ultimately, to make a difference. Q: In 2004, you fulfilled a longstanding dream of living and working abroad. Why did you happen to choose China? A: In the midst of despair in early 2004, I knew I needed to do something radically different with my life but didn’t know what. That changed the day I heard an inner voice tell me straight out I was going to China. That’s how I happened to choose China. I trusted the voice and had a feeling China would play a very significant role in my life. Q: How much did you know about your destination prior to going there? I was moderately up-to-date with current events and moderately knowledgeable with the basics of 20th Century Chinese history. Before leaving Canada I made a point of researching Harbin, the northern city where I’d be teaching. I also talked to many people who’d been to China. Of course, no amount of book learning and conversing could adequately measure up to my experiencing China first hand. Q: What were your initial impressions of the country in 2004 and of its people when you first arrived? A: Fascinating and exciting! The energy was different; I could almost hear the crackling of aliveness combined with a sense of urgency. Demolition and construction seemed simultaneous, they happened so quickly. A colleague quipped: “What’s the national bird of China?” Answer: “The crane.” Cranes outlined the skyline whichever way I looked. I worked at the Harbin University of Science and Technology, teaching English to first year students. I quickly discovered they were far less sophisticated than my senior high school students in Canada. Their prompt cleaning of the blackboards at the end of class took me off guard. It was something they just did. Right from the start, I also noticed respect, appreciation and good-naturedness. They were a lot of fun. Too many smokers! At my university, smoke billowed from offices into the hallway, taking me back to previous times in Canada. Too many drivers were bold and audacious, and almost nobody used seatbelts. (Often there were no seatbelts.) As a pedestrian, I had to be extra mindful. The Chinese food was amazing and inexpensive. Western fast food joints—MacDonalds, Pizza Hut and KFC—charged much higher prices. I went into those establishments for one reason only: their Western toilets, hot water and soap. I still needed my own tissue. In restaurants and everywhere else in China, tipping was illegal. These are just a few initial impressions. My prequel will be full of my impressions and experiences. Please bear in mind that China is a rapidly developing country. What I’ve said above may be different now. Q: What was the hardest – and, conversely, the easiest – thing to adjust to in your conscious decision to make a major lifestyle change? A: The hardest thing before leaving Canada was managing my emotions. I felt thoroughly overwhelmed and also extremely excited with such a radical choice. The easiest part was my complete and utter knowing that going to China was singularly the right thing for me to do. Q: You indicate in the opening pages that sometimes an invisible hand directs the course of one’s life. Do you believe the major events in our personal journeys are predestined or are we still mostly creatures of free will? A: I lay many long hours in a Canadian hospital bed contemplating that difficult question. I asked myself: “Was falling in love with China and almost dying there a matter of fate, predestination or free will?” My thoughts are not easy to express but I’ll try my best. First I’ll mention my way of defining the terms. As you can see, I’m throwing fate into the mix. Fate is neutral and impersonal and implies events that are meant to happen. Predestination is used synonymously by some people. To me it differs in that it suggests a plan, not neutral, that’s devised by another, greater power. (That awesome, mysterious force is not male, but I shall call it God.) Humans have no control with either fate or predestination. Free will is the opposite, allowing humans the ability to make conscious choices. The key word to note is “conscious.” People can only exercise free will to the extent that they’re conscious. For instance, in my life I’ve too often made choices dictated by unconscious dynamics; that is, by unhealed emotional wounds and habitual responses. To be truly “free,” my will must involve intelligent self-reflection. For the major events, my will must also be accompanied by courage and strength. I’ve found that the more courageous I can be, the stronger I become. Strength I never knew possible comes to me from God. You asked me if I thought predestination or free will characterized the lives of humans. I have a hard time with the idea of predestination. Maybe the issue is one of consciousness, i.e., the conscious awareness that we are all part of the greater power, God; that in essence, we’re all one. I believe the more we each heal our personal pasts (including what’s been passed down through our families), the freer we are to determine our own direction. I believe that when God sees us constructively use whatever awful stuff life throws our way, “it” says: “Here is one to enter into co-creative partnership with me. Hooray!” When we maintain an open and humble attitude, mindfully attuned with God, a new direction is created together. It’s like a delicate, dynamic dance with the Divine to co-create a destiny. Especially after the accident, I had an uncanny feeling that China was part of my destiny. Do you remember I said a voice took me to China? When I was trapped in wreckage I heard the voice again. It used the first person and in a calm, matter of fact way said: “I don’t know what this is all about but I do know it’s part of a bigger picture and it’s a good picture and it involves me and China.” I’m grateful that I somehow had the presence of mind to notice and remember. Q: According to Amy Tan in Opposite of Fate, a Book of Musings, the best stories often come from the worst experiences. As a stranger in a strange land, you certainly endured one of the worst experiences imaginable – a head-on-collision that nearly proved fatal. Tell us about this nightmare experience and what gave you the strength to survive it. A: It was Spring Festival time (aka Chinese New Year). A bilingual Chinese friend and I were travelling in a poor rural area in the south, far from where I taught in the north. I realized our driver was sleepy when I saw a bus headed straight at us. We were on the wrong side of the road. The drivers’ trying to avoid each other didn’t work. We collided head-on at a slight angle. In no time I found myself pinned between the crushed front of the van and the right passenger door. Given I had no seatbelt, it’s miraculous I didn’t go through the windshield. My friend, seated behind me, was injured too. We helplessly watched our driver die. It took quite a while for rescuers (private citizens) to show up. The events that followed were unusual and some downright bizarre; I have included them all in my book. My friend’s father, cousin and sister slept on a hospital floor for three nights to take care of me until a 26 year old colleague flew 2200 km from Harbin. He got me released from the hospital and saw me safely back to Canada. In Canada, I found out the true extent of my injuries: 7 ribs broken, both legs broken and right knee crushed. How I survived crude rescue, two questionable Chinese hospitals and two flights home is beyond me, especially considering my right lung lining was punctured too. What gave me the strength to survive? Shock in the form of denial helped. I was calm, trusting and present; it didn’t occur to me I might die. The voice helped. It told me goodness was in the works and I’d be able to derive purpose from awfulness. Most of all, it was the love of my Chinese friends and students who with all their hearts told me: Da nan bu si, bi you hou fu, “If a big bad event doesn’t kill you, then you are guaranteed happiness and extraordinary good fortune.” Their love and faith sustained me. Q. It sounds like the voice provided you with an epiphany. Tell us about how you derived “purpose from awfulness” and in what ways you feel you’re making a difference. The voice did not explicitly tell me what my purpose was. Rather, it opened me up to a new world of possibility. I knew it would involve writing. China had made a profound impression on me, both the culture and the people. I wanted to build a narrative bridge of understanding between us and China. That bridge is now built, Dancing in the Heart of the Dragon. Something that really concerns me is how our Western media deliberately creates fear and misperception about China. As far as I’m concerned, an “us vs. them” mentality is plain bad news. China’s a big country developing fast. What wisdom is there in our casting them as the “enemy”? The Chinese are people, just like us. Why not choose to get to know them better? The mutual benefits would be enormous! It’s time for a more balanced and fair picture to be painted. Dancing in the Heart of the Dragon does this and also gives readers plenty to self-reflect upon. It’s a story told honestly from my heart to readers’ hearts. Just imagine all our children and grandchildren inheriting a more friendship based world! That’s what I stand for, and that’s how I am making a difference. Q: You mention using your story as a bridge between cultures. Is the bridge on your cover meant to be symbolic of this? Tell us about your book’s striking cover and how you chose your title. A: Yes, I intend the bridge as a symbol linking East and West. The dragon, which happens to be the most important creature in Chinese folklore, is the national symbol of China. The phoenix is a creature thought to bring goodness. In most Chinese legends the phoenix does not burn like its Western counterpart. In my cover design, the phoenix represents me, finally able to rise from the flames of physical and emotional trauma. In terms of the physical, I required three surgeries and well over a year of rehab to walk normally. As for emotional trauma, I was not able to experience release until the day I launched this book, February 10, 2013, eight years to the day after the accident. As regards the title, I did not choose it. It’s more apt to say it chose me. I wanted something “perfect” that included the words “dragon” and “dancing.” Try as I might, I couldn’t think of it. Then one afternoon the words “Dancing in the Heart of the Dragon” flashed into my head. I almost fell over in awe. A little later that same day while shopping, I pulled a red top from a clothes rack and was amazed to see its front sequined with a Chinese dragon. It was like God saying: “My dear, I am so with you.” I leave it to readers to experience how perfectly Dancing in the Heart of the Dragon fits my story. Q: If the chance presented itself to go back to the country that nearly killed you, would you take it? A: The chance did not “present itself”; I actually made it happen. I returned to China in 2008 to study Mandarin at a university. I had to overcome a lot of fear to do that. I expect I’ll return yet again when my book is available in China. Q: Tell us about the development of Dancing in the Heart of the Dragon, a Memoir of China and the takeaway value you believe it holds for your readership. A: The dream to write about China started to germinate the day a voice told me I was going to China (early 2004 in Canada). I knew I was in for dramatic change and wanted to capture it. I made a point of writing emails and journals full to the brim with details. That writing provided the treasure trove I drew from later. In 2012 I took coaching sessions with the woman who was to become my publisher, Julie Salisbury (Influence Publishing). She told me I had to start all over again, with the accident. (Gulp, now or never!) I decided to use actual journal entries, conversations, email correspondence, photographs, songs and dream work. I also decided to move back and forth in time and tell my story from a hospital bed. In that way it’s like The English Patient. Dancing in the Heart of the Dragon is an engaging story. I know because I’ve been accused of keeping people up all night. The writing has a quality of immediacy, such that readers feel they’re right there with me—whether it’s lying on the sub-tropical sands of the “Island of Pianos” or being freed from wreckage with crowbars and carried up and down flights of stairs on a narrow board. And of course, there is learning about the real China, in a book written by a Westerner who loves and respects the people of China. A: I did not try to find a publisher. I saw Julie for coaching before she even owned a publishing company. She was moved and inspired by my story. From there everything flowed, just like it was meant to be. Q: What do you know now about the publishing business that you didn’t know when you started? A: The industry is in a process of redefining itself. I knew this when I started but didn’t know just how rapid the changes were. Writers must work diligently on their own promotion. Utilizing the Internet is critical, a task daunting for many. It can also be daunting to know just who to hire. Money plus much time, energy and ingenuity seem to be necessary to meet with success. Q: Have you been influenced by Chinese literature you have read? If so, in what ways? A: My sensibilities have been influenced the most by the I Ching, an ancient book woven together with Taoist and Confucian teachings. It has helped me enormously, ever since I encountered it in the late 1980’s. Twentieth century writers particularly influencing me include: Anchee Min (Red Azalea), Jung Chang (Wild Swans), Xin Ran (The Good Women of China), Amy Tan (Kitchen God’s Wife), Adeline Yen Mah (Watching the Tree), Lisa See (Snow Flower and the Secret Fan), Han Suyin (A Mortal Flower) and Jan Wong (Red China Blues). These writers have all provided me with much insight into the lives of Chinese people, especially their own and other women’s. They’ve educated my mind and heart and helped me to understand China’s culture and way of viewing the world. Q: In light of current global tensions, do you believe a true understanding between Chinese and Westerners will ever come about? If so, what concessions and compromises would be necessary from both sides? A: A true understanding between Chinese and Westerners will take effort. I can’t know if it will come about but it’s my dream. I’m willing to do what I can to promote that possibility. For one, we need to recognize that we’re fed a lot of propaganda about China as they are about us. It’s important not to believe everything we hear and read, especially from politicians and mainstream media. They have their agendas which include nothing about heart-level understanding. Westerners have to stop finger pointing. It does no one any good. China has a lot of problems. Any country with such a huge population developing so fast would have problems. Let’s develop compassion and a desire to build rather than destroy with our attitudes. We ALL, everywhere, need to get over ourselves and get educated about each other—each other’s culture and different ways of perceiving the world. We need to see our common ground. This education does not have to be unpleasant at all. In fact, it can be fun. In the West, a great way to start experiencing Chinese culture is through literature, movies, music and food. Have conversations with Chinese people we meet. People in China: Don’t be shy to have conversations with the foreigners in your midst. If language is an issue, smile, be friendly and courteous. Chances are others will respond similarly. Curiosity can be a wonderful attribute. Travel is also awesome. Regular people, perhaps more than politicians, need to lead the way in understanding. And everyone, please remember: People are not their governments and people everywhere are individually unique. No one is a stereotype. Q: As of this writing, your book is being considered by three book awards committees. Whether you are short-listed or not, how might being nominated help promote your purpose? A: Award nominations and actual awards draw much attention to a book and increase the credibility of the writer. 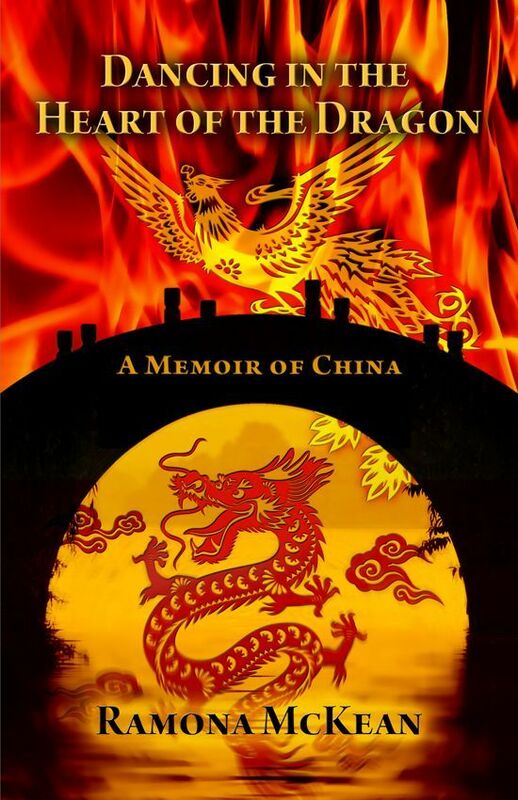 Many readers have already told me how moved and inspired they felt by Dancing in the Heart of the Dragon, a Memoir of China. When people feel moved and inspired, their hearts and minds open up at least a little more than before. True understanding is then more possible. A: Within a year I’d like to have my book translated into Chinese and on the market in Asia. I also want to write my prequel. A: The Dalai Lama said that Western women will save the world—women because of their ability to nurture and respond with their hearts; Western because of their many hard won victories that women elsewhere have yet to experience. I believe it’s not only women who’ll serve as the world’s capable and compassionate “rescuers,” but also men who are not ashamed to own and honour their own gentler qualities. Though my story may not “save the world,” I recognize its unique potential to promote understanding between us in the West and people in China. It’s a human heart to human heart understanding, the kind that leads to friendliness and good-will. My story reveals how communicating and opening to each other’s goodness can benefit us all. In closing, I would like to invite people to visit my website, read the first few pages of my book (“Preview”) and listen to some of the music (“Soundtrack”) that helped me fall in love with a nation. http://ramonamckean.com Until then, “Xin xiang shi cheng”: May the dreams of your heart come true. Lisa Wimberger, a consummate professional who has dedicated her life to helping others discover a new way of living, delivers her debut self-help memoir/course in rewiring one’s mind to weed out the true stories from those illusions of our mind that hold us back. I had the opportunity to sit with her to discuss her book (New Beliefs, New Brain: Free Yourself from Stress and Fear), her teaching philosophy and her views on the spectrum of healing. Q: In your Acknowledgements page of New Beliefs, New Brain: How To Free Yourself from Stress, you thank the reader as being your inspiration for this work. When and how did you discover you had to write this book? A: I value my gut feelings often. I had been meditating in the bath one night reflecting on how I could help in the world. I got a clear answer that I was supposed to write. About a week later a stranger who heard my story at an event I was speaking at told me afterwards that he got a clear message I should write a book. Then about a few weeks later after a cover story came out in a Denver publication about my work with officers, my publisher called me and asked if I had a book. So I began writing! Q: That came together quite beautifully. How did you assemble the balance between sharing your personal, traumatic experiences and creating an environment where people could engage in their own lives through your exercises? A: I modeled the book after the way I teach. I know from experience that if the material doesn’t engage someone on their own personal level it will mean nothing. And because my traumatic journey is the foundation for why I do what I do, it’s critical for me to remain authentic and share my “why”. Q: That sense of authenticity shines in your work. I appreciated reading the real-life stories of Sam, Joseph and Kathy. Are there any notable stories you’d like to share of people who have read your book and have perhaps reached out to you with their results? A: I am fortunate to have many stories from clients and from readers. I was just contacted recently by an officer in Wisconsin who was so moved by the techniques, he bought copies of the book for all his family and friends. 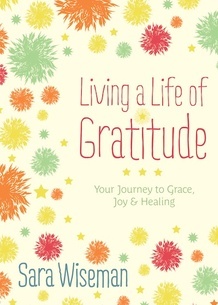 I have people tell me that since using the meditations they are finally liking—and even loving—their lives. Q: Congratulations! How did you reach out to other professionals for their reviews before publication (and how did you approach Dr. Perlmutter to write the foreward)? A: I was very inspired by Dr. Perlmutter’s approach to health and well-being. He’s written several amazing books. I went to Kripalu Yoga and Meditation Center some years back to do a workshop with him and Dr. Alberto Villoldo. After meeting Dr. Perlmutter in person, and his wife, I knew his work and his voice had so much integrity that I couldn’t imagine a better person to sanction my story. I asked him, and after reviewing the manuscript he agreed. I also sent requests to the other professionals whose work was important to me. I feel very blessed to have their accolades. Q: The subject of self-help is far-ranging but your unique approach simultaneously encompasses the perspective of science, meditation and memoir. What has been your most successful marketing campaign to make your book accessible to those who would benefit most from its content? A: My most successful marketing campaign I believe is yet to come! Q: Sounds exciting! Please share with us. A: My future plans are to grow the institute as a funnel for all of my work. To lecture more, and to find a PR person! I position my work for the everyman. I personally feel that the self-help enthusiast may already have great resources. However, the everyman may not know where to start. So I’ve been realistic in my descriptions of the book. I think its availability in the mass marketplace is the first step. I do a lot of blogging and speaking about it in venues that extend beyond the typical audience. Q: This being your first book, what was the publishing process like with Divine Arts Media? A: They were fantastic and made it so easy to work with them. I was on my own much during the writing, although the publisher always answered questions right away. It seemed effortless. I hired my own editor to make sure my finished manuscript was as polished as I could make it. Once I turned it in, there were some review cycles but nothing much changed. Q: What a perfect balance between being a self-guided / published author and having the structure and support of a traditional publisher. What was your post-publication process like with Divine Arts Media? A: They mapped out placement of the book and got it into the national and international distribution market. Beyond that I am my own PR agent. They offer me suggestions but the execution is up to me. The transition [from publication to marketing] isn’t always easy. I am not expert in marketing, nor do I have the time to do another full-time job. So with me as a one-woman show I’m sure the book sales are not what they could be if I had a PR agent, a team, or a larger platform to support all of what I do. I’m working on putting those things in place so that I can spend more time helping people and teaching and less time marketing and selling. Q: Thank you for that insight. What advice would you give new writers? A: My advice to new writers is to write. Pipe-dreams aren’t anything until you put it all into practice. There’s no perfect time to start. Just write. Q: Great advice. As a teacher, consultant, healer, how would you define “education”? A: I believe education is that which informs, inspires and then hopefully creates. If any of those pieces are missing then the deliverable is only a fraction as powerful. Q: Beautifully expressed, thank you. How has your academic background (a Masters in Education from University of Stoneybrook, New York, certification as an MBTI, training on psychic awareness at ICI, etc.) and your time in the field (with the Ishaya monks and in counseling others) shaped your perspective on educating others? A: I feel like I have been fortunate to have had a balance of very formal education mixed with many alternative modalities. This breadth lent itself to my understanding that you can’t just learn in one way. It’s not just about academic information and it’s not just about in-the-moment experience. Our brains want both. So I try to design my work to honor both. Q: Yes, that balance of left-right brain was evident in your book. How do your companies (The Neurosculpting® Institute, Ripple Effect, LLC and The Trance Personnel Consulting Group) help you free others from stress and fear? A: Those business platforms allow me to have a space in which to do my trainings, a structure in which to go out into the world to teach at agencies and organizations, and offer me an online presence so begin to speak with a global audience. Q: That’s awesome. You really seem to have a pulse on crossing boundaries to promote your message. How does your experience as an international tribal percussionist weave your sense of healing? A: Percussion is an avenue for intense and euphoric healing. It is when I can get out of my mind and let my body create a message that others can interact with. I use words a lot, so it’s beautiful for me when I can stop talking and continue communicating that way. Percussion and dance are the ultimate experience of being present. It’s meditation in motion. Q: I also have a deep affinity of music; that ultimate poetry of life. With everything going on, how do you manage to juggle these myriad endeavors? A: I actually don’t always know! I often have to meditate when I feel overwhelmed and go back to integrity. The only question I need to ask is “Is this in alignment with my mission on this planet?” When the answer is yes, I know I will find a balance. If I hesitate at all, then I know that’s the thing I have to walk away from. I’m learning that more and more each day. Q: Life certainly feels like a work in progress. If you could only impart one piece of advice to someone seeking guidance, what would you say? A: Deep healing is far more accessible then we might think, but it takes work. If you’re ready to work, then you’re ready to heal. To find out more about Lisa, you may visit her on www.linkedin.com/pub/lisa-wimberger/1/136/633 or check out her website at http://neurosculptinginstitute.com. This interview was originally published on Blogcritics at http://blogcritics.org/culture/article/interview-author-and-teacher-amy-friedman/ on New Year’s Day. It was scheduled to be posted on my book blog (www.notionsofagirl.wordpress.com) on January 11th, in coordination with a Blog Tour manager for WOW! (Women on Writing) but when I received Ms. Friedman’s answers during the holidays, I considered her message symbolic of the struggles we all go through when we straddle the expectations, the failures and the accomplishments of the previous year with our hopes and concerns for the new year. Q: How were you approached for your contribution to the anthology Dancing at the Shame Prom: Sharing the Stories that Kept Us Small? A: I’ve known [coeditors of the anthology] Amy [Ferris] and Hollye [Dexter] for a few years—Hollye took a memoir writing class with me a while back, and Amy and I met when I discovered there was another Amy F on Shewrites.com (in its earliest days, when only 40 or 50 people were involved in the site). At the time Amy’s Marrying George Clooney was on pre-order. I pre-ordered and fell in love with the book, which began a correspondence that has turned into a lasting friendship. I think we’re all mutual admirers of each other’s work, and because they knew a great deal about my memoir in progress at the time, they knew the subject matter I would likely deal with. Q: What drew you to the project? A: To be honest, it took me a while to figure out what precisely I would write, and for a while I thought I might have to write about the shame of not feeling shame—that sounds, well, perhaps preposterous, but I’m rebellious, and whenever people have tried to make me feel shame (as certainly happened during all the years I was married to a man in prison and certainly happened to the girls I raised, daughters of a prisoner). But shame permeates our world—I knew the book would resonate with a great many people, and the process of thinking about the subject led me on a long, difficult journey. Q: Who is your target demographic for Dancing at the Shame Prom? A: I never think about that question, not ever. I actually think it’s a dangerous question for writers to consider. Writers need to write those stories that knock at their hearts and heads and souls. They can’t worry about what others want to hear. So, well, I don’t. Besides, I’m always surprised by what resonates for people. Always surprised. A: Oh, man, if I took you through the process, we’d be here for months. But in essence the process for everything I write begins more or less the same. I ponder the idea, I toss things out onto the page (handwritten—I write first drafts of everything by hand). I play. I read what I’ve written. I wonder about what on Earth I was thinking. I try to find the meaning inside the stories and snippets that appear on the page. For a short essay—2000 words or less—I don’t think a writer can contain more than one big idea, maybe one and a half ideas. I half-feel as if my essay for The Shame Prom fails because I think it tackles a few too many ideas. But I also have learned how to eventually let things go, so I won’t ponder that idea here. Q: Everything in your essay felt like it dovetailed into one central idea. The major thing I walked away with from “The Men Who Stayed Too Long” was your concept that when we are ashamed of ourselves, we try to hide in our opposites, and in the fantasies of the person we wish we could be. How did that attitude affect your life and your sense of “self”? A: I believe that’s true, and I’ve seen it manifested both in my life and in the lives of loved ones—we all, I think, imagine what perfection looks like. Take, for instance, imagining what the life of a perfect writer must be, how that person probably works, thinks, lives. It’s impossible not to think about it (in part interviews lead people down those paths, of course). I’ve long fantasized having the success of those writers who are everyday names, who write anything they wish and hand it over to an editor and the editor says, “Yes! Here’s your paycheck!” I lived (and published) in Canada for over twenty years and was not famous but was at least, well, a little known. When I was in my late 40s I moved back to the United States and suddenly I was a “nobody” as a writer, and it took me three or four years to climb out of the slough of despair (and shame) that created, to find my way back to writing because it’s what I love, what I do. I think there’s a constant struggle to look oneself in the eye and say, “This is who I am, and that’s just fine.” I don’t think that struggle ever ends; at least it hasn’t for me. Q: By your definition, what is “normal”? A: Ha! No such thing. By spending so many years so closely tied to prison, a little cynicism developed—and there are days “normal” frightens me. Sometimes I fear that if I were “normal” (whatever on Earth that is) I would be dull and uninterested in the world around me. Honestly, I don’t know what normal is. I suspect everyone has a different definition–what seems “freakish” to one person might be perfectly normal to another, and vice versa. Q: Among the signs of suicidal behavior are “excessive shame,” “withdrawing from people,” “feeling trapped, like there is no way out,” and “feeling hopeless.” How would you relate those feelings to your experiences of wishing to be someone else? A: Well, I think people who wallow in a desire to be someone other than who they are usually wind up disappointed when they do not become that person—whether it’s a desire to look different, live differently, own more, know more, do more. Lack of acceptance of self can certainly lead to feeling hopeless, and there is nothing worse than that sense of hopelessness. I don’t know the cure. For me it’s always been fighting to be who I am and to find some way to be okay with that, and learning to surround myself with those who love me (and to shy away from those who do not). Q: You wrote “What we see on the outside seldom even scratches the surface of an individual’s inner truths.” Please elaborate on this. A: I think this probably is at the heart of the reason I’m a writer. I write to discover what I think, what I know, what I didn’t know I knew. Writing takes me to depths of understanding (of myself, particularly) in a way nothing else can (except perhaps meditation). I’ve been teaching memoir and personal essay for fifteen years, and if I’ve learned nothing else from this experience it’s that we never ever know at first glance (or the fifteenth) what’s going on inside a person’s head or heart. I believe in listening, closely, and in withholding judgment (every student I’ve ever taught has surprised me). Q: You talked about the “transformative power of speaking your truths out loud.” How has speaking your truths out loud transformed you? Q: What things were you once afraid of, but no longer? A: I suspect I’ve been afraid of everything at some time or another, but the fascinating thing about fear is that once it’s gone, it’s gone. During the years I was involved with prison, I lived one big fear that all that I was working for—to get my husband released, to keep our family afloat, financially and emotionally—would come to nothing. And in a way that’s what happened, the whole dream exploded. And because I didn’t die, because I came out stronger and wiser and calmer, oddly, I think a lot of fear was burned up in that explosion. I still sometimes fear rejection—that’s probably the biggest fear—that I’ll write something or say something or do something and receive in turn anger, cruelty, people turning away. But here’s the thing: That happens, and still, I survive. Some days I hide under the blankets for hours and weep. Some days I can’t face the world. But a good long cry and those kinds of losses and sadnesses and terrors are oddly cleansing. Q: What gave you the strength to share your truths with the world? A: I have to say I was raised to be open and honest, by parents who spoke their truths. A vivid memory of youth: Many of my ancestors were lost in concentration camps, my paternal grandmother’s entire family wiped out in the War, my dad a POW during World War II. But when I was in high school, we had an exchange student at the school from Germany. My mom taught at our high school and one day Gaby (the exchange student’s name) came to my mom to ask if she could move in with our family (and out of the home she was staying in where some problems had arisen). My parents welcomed her with open arms, and years later I found out that they had taken much grief from many Jewish friends and family members still seething with anger at all Germans. But that was my parents. I’d seen my dad, an Atticus Finch type, stand up to angry neighbors who did not want an African American family to move onto our street in the early ’60s—I saw that the way to face the world was to face it honestly, and with strength, no matter the consequences. And when I was 12 and writing came—my window to knowing what I thought, what I stood for and what I wanted to say—I came to see that writing is never any good unless it comes from those deepest and truest parts of ourselves. Q: What do you know now that you wish you had known as a teenager? Q: What would you say to someone who considers that keeping up the façade is safer than confessing who they really are, where sharing their true self or secrets might result in physical or emotional harm? A: I would encourage, gently, that person to write. Honestly, that is what I do. And to meditate. I have done this. I raised two girls whose life in so many ways depended upon keeping up a façade—pretending their father wasn’t in prison because they had taken so much grief and rejection and cruelty from people for something over which they had no control—and throughout their lives I have tried to hold them close and teach them that they are not the people those who judge them believe them to be. One of them has found her way, one has not. I still hold out every imaginable hope. Q: What are some of the resources for people who need a safe place to be themselves and speak their truths? A: I think this depends—there are wondrous writing teachers around, and because I’m a writer, that’s where my mind takes me first. There are support groups. I think it’s important for people to find those who will help to nurture them and support them and listen to their truths, and to surround ourselves with those people. But this takes me back to the question of what I wish I had known as a teenager that I know now—I wish I’d known as a teenager that it is vital to surround oneself with those who love and respect us and to give wide berth to those who would judge us (and that those who judge us most harshly are usually merely projecting their own inadequacies and fears). Q: We’ve talked about shame. Let’s explore the opposite. What are you the proudest of about yourself? A: I’m proudest of the fact that I have followed my dream, that despite not having become “rich and famous” I am a writer still, a dream that began when I was 12 and from which I’ve never wavered, and that I’ve found my way to discovering how to make a living and to keep producing stories and books. I’m also proud of my teaching, and I’m proud of the people I’ve had a hand in raising—stepchildren (4), nieces and nephews, and some students. Q: As a writer, what gives you the greatest joy? A: My greatest joys come in those moments when I’m so deep inside a story, I am flowing, and I know I am onto something—it’s an indescribable sensation, but when I’m there, I know it, and it is, for me, the essence of joy and peace. That and going to the movies or for long walks with my husband who is the greatest imaginable partner and friend. And boogie boarding. I love boogie boarding and just about everything about the ocean. Q: You have adapted some marvelous tales in your “Tell Me a Story” column, based on folk tales, fairy tales, and mythological stories. What drew you to that project? A: Oh, alas, that’s a long-ish story. But the short version is this. I was working at The Whig Standard in Kingston, Ontario as a columnist (had been for nearly eight years), and I had a terrifically wonderful editor who was always open to new ideas. My dad was a newspaper junkie, so I grew up on newspapers—and I decided our paper needed something for kids. I told my editor I thought so and he sent me off to figure out what that should be. A librarian at the Kingston public library led me to stashes of old folktales and fairytales and myths and legends that people were forgetting, and she also led me to an amazing illustrator. I proposed the idea to Neil, my editor. He said, “Go for it,” and within weeks Jillian (my illustrator) and I were producing a column six days a week (in those days I wrote one story a week and solicited and edited the other five, but Jill illustrated all six). Within three months, ten Canadian papers had picked up the column, and a year later Universal Press Syndicate came to us wanting to syndicate the column in the United States. We started in 1992 and last month published story #1086 (they run in papers around the world). Jillian is retiring, but I’m still going, with a new illustrator beginning in February 2013, Meredith Johnson. Onward, upward. It’s been fascinating, frustrating, and always inspiring (and I’ve produced three CD audiobooks of the stories as well). Q: Tell us about The Desperado’s Wife. What prompted you to share your story in its entirety now? A: Ah, well, I’ve been working on the book for ten years, so it isn’t precisely now that I have been prompted. The book has been excerpted in several places over the years (in The New York Times as “Modern Love”, Salon.com and in a book by Katherine Tanney and Spike Gillespie called Stricken: 5,000 Stages of Grief), and my agent has been trying to sell it for a year or more. But when the Katie [Couric] show invited me to be a guest to talk about the subject and my book, I decided I was no longer going to wait for publishers to give me the green light, and so I have self-published the book and will be on the Katie show [on January 31, 2013]. I think it’s an important story—inspired in part by my longing for prisoners’ families to come out of the shadows, to not have to live in shame. That’s what I hope to talk about with Katie Couric. Q: You have been teaching memoir for 20 years. What is your most memorable experience as a teacher? A: I don’t know that there’s one “most memorable” experience as a teacher. The happiest moments are when students discover their voices, when they are able to dive more deeply inside their stories, when they realize—sometimes against their will—that they can tell a story they’ve been struggling to tell. I wish I could say the happiest moments are when students publish their work—and there is some satisfaction in seeing that happen. But I’m also frustrated by the whole publishing world because I think it is not often that truly good work is rewarded—sometimes there are too many other things (fame/hip-ness) involved in publishing decisions. But I love teaching. I love seeing people making new discoveries about their stories. Q: One of the success stories from your students is “Amy helped me to discover that a genuine writer did live inside of me and allowed me to grow and develop in an atmosphere truly free of judgment.” Many others speak of the environment you create, and the self-confidence you help foster. What is your teaching philosophy? A: Only this: It’s important to read and to write and to buy books. The publishing world is crumbling, but readers can keep it alive if they try. You may buy Amy’s memoir The Desperado’s Wife at her website and receive an autographed copy and bookmark if you place the order before January 15th. 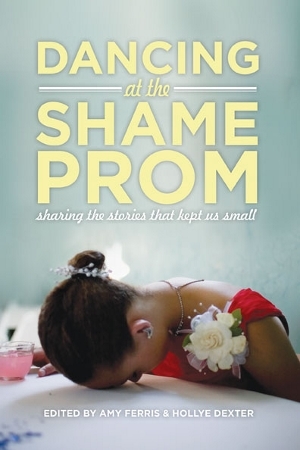 To learn more about the anthology Dancing at the Shame Prom: Sharing the Stories that Kept Us Small please check out their website.